Mirrors are important elements of the bathroom interior design. Each family member uses the bathroom mirror. 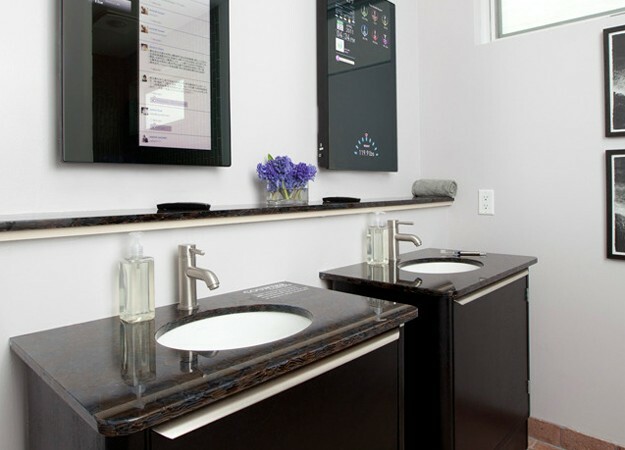 There are some really awesome bathroom mirrors that will bring style to your modern bathroom. Choose bathroom mirrors that complete the stylish interior design of your contemporary bathroom. Your choice of bathroom mirrors is unlimited. There are tons of creative shapes, different sizes, colorful frames and even hi-tech mirrors. Check out our picture gallery to get an idea what some of these mirrors would look like in your bathroom. You can also browse the web for more pictures. You can share with us your thoughts about these awesome bathroom mirrors in the comments section below. Bathroom Design bathroom, bathroom mirrors, mirror designs. permalink.